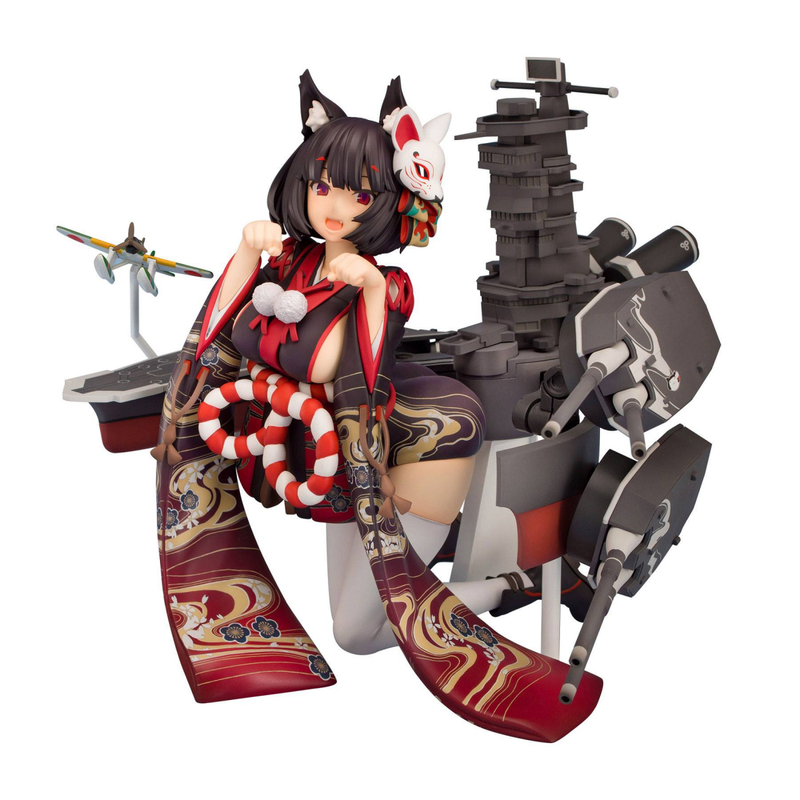 From the popular mobile shooting game "Azur Lane," the battleship Kaga is joining Kotobukiya's lineup as a 1/7 scale statue! 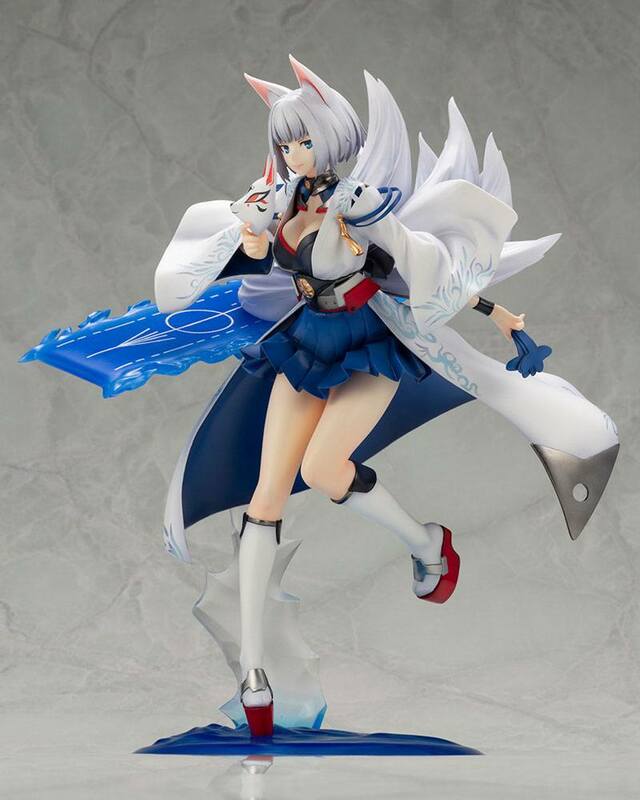 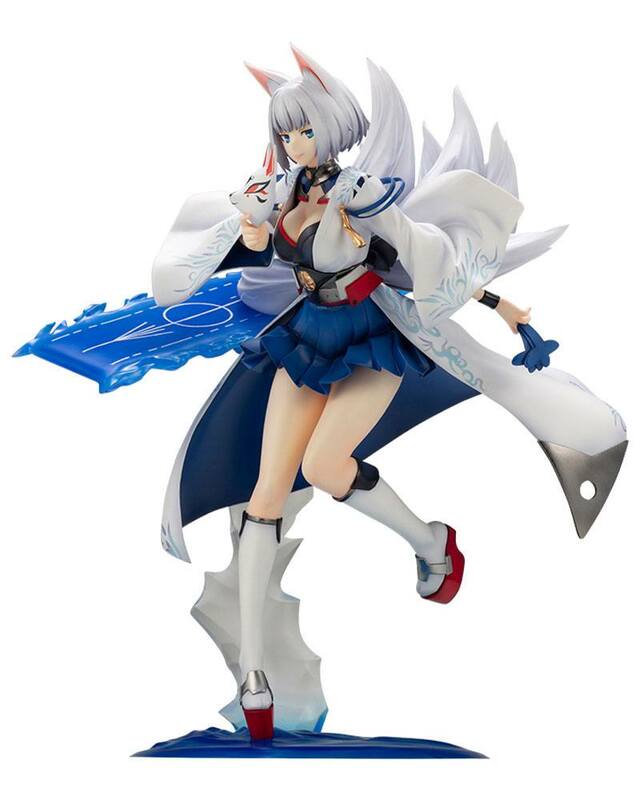 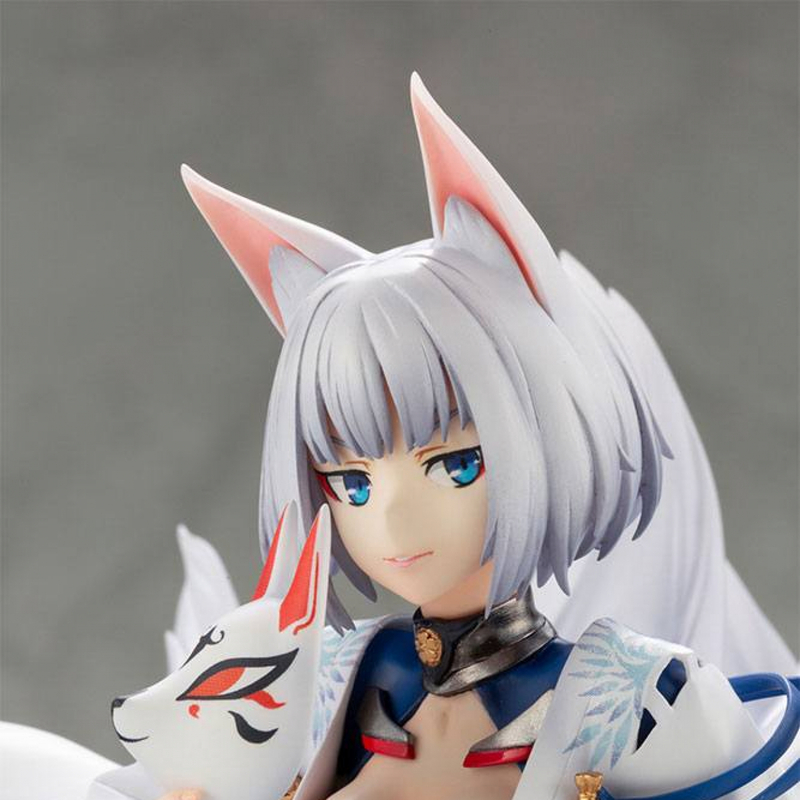 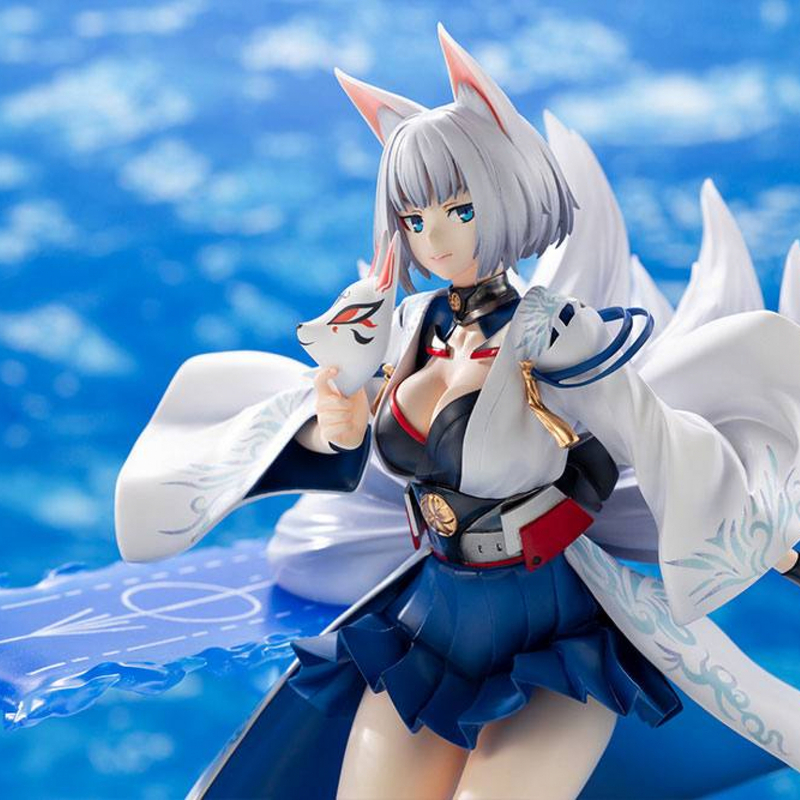 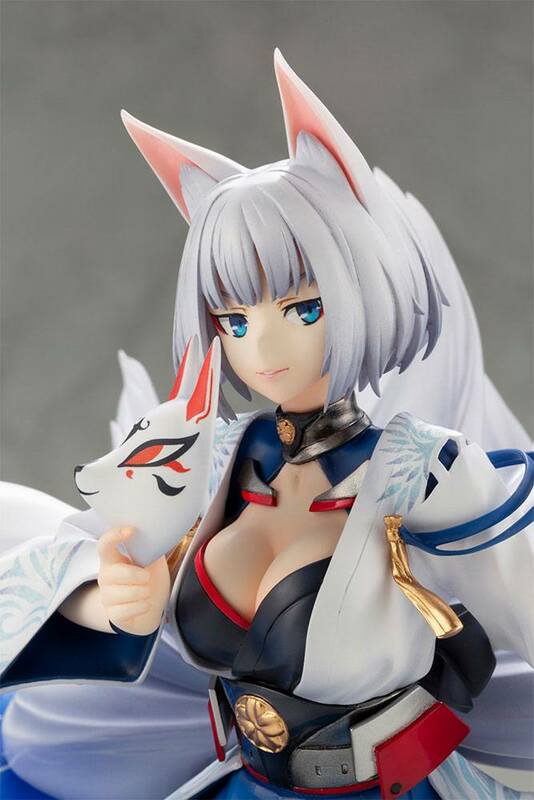 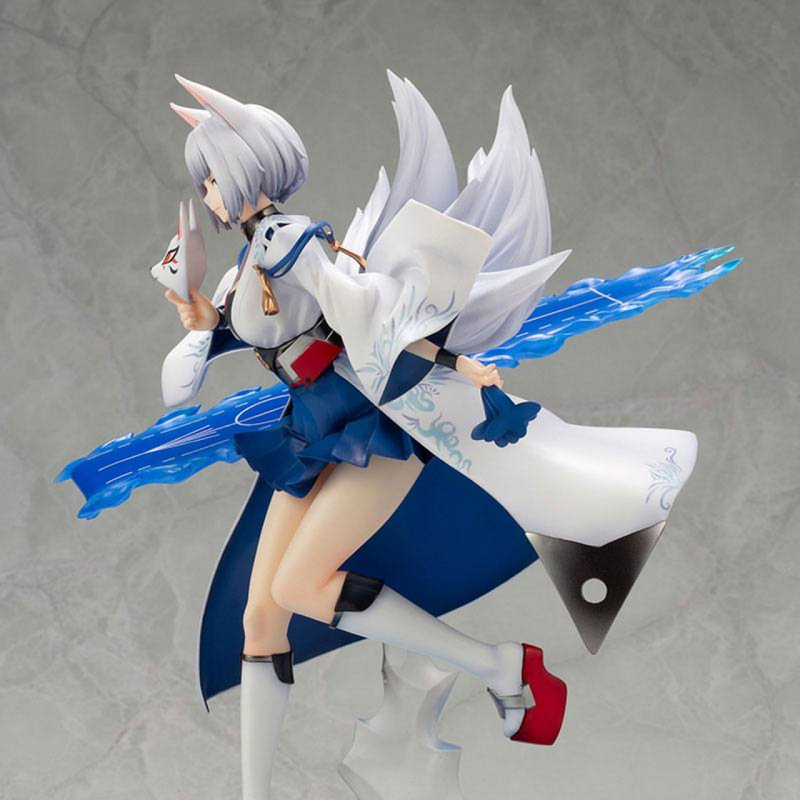 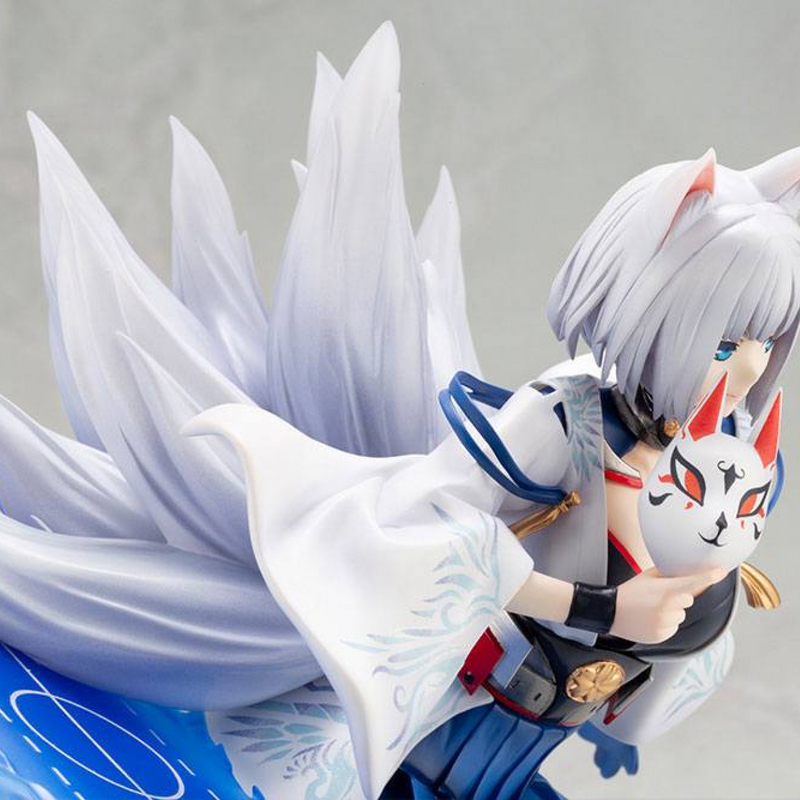 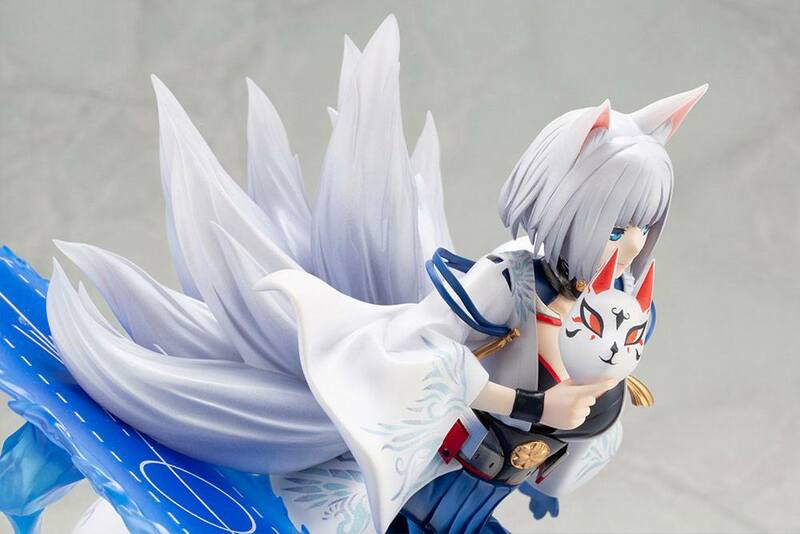 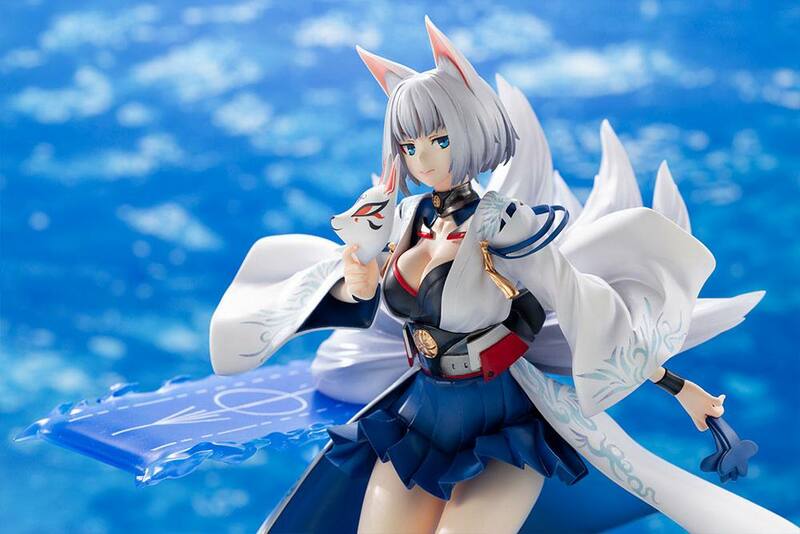 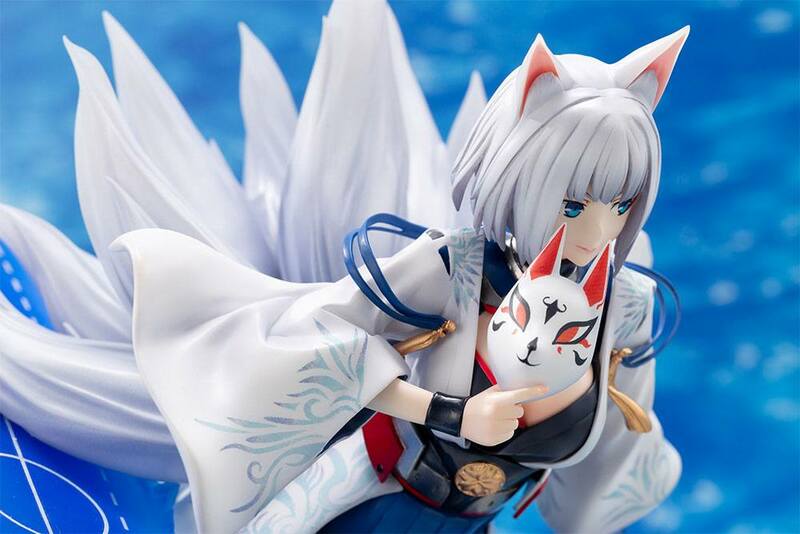 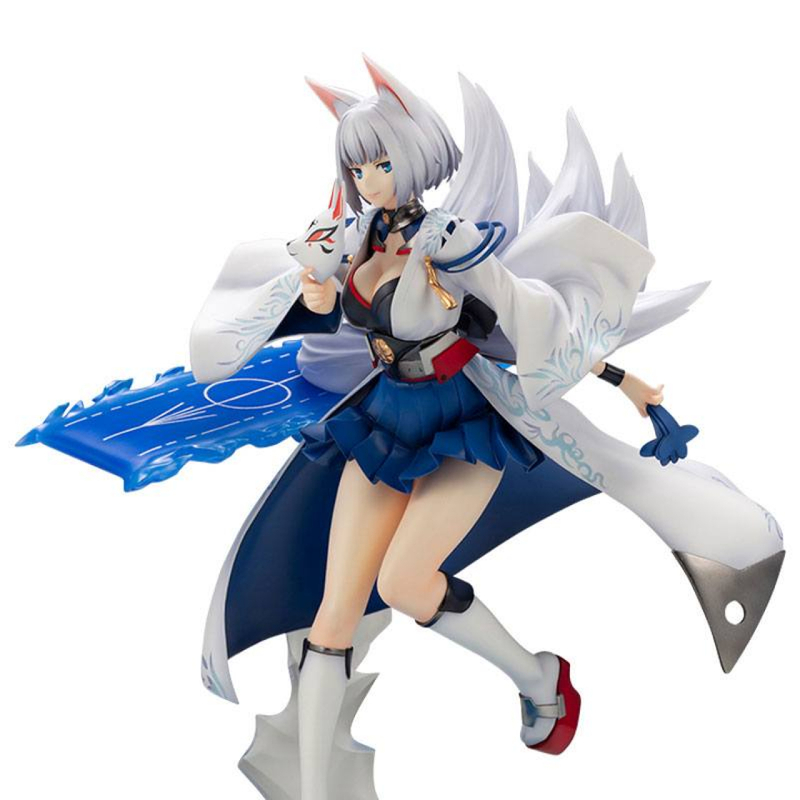 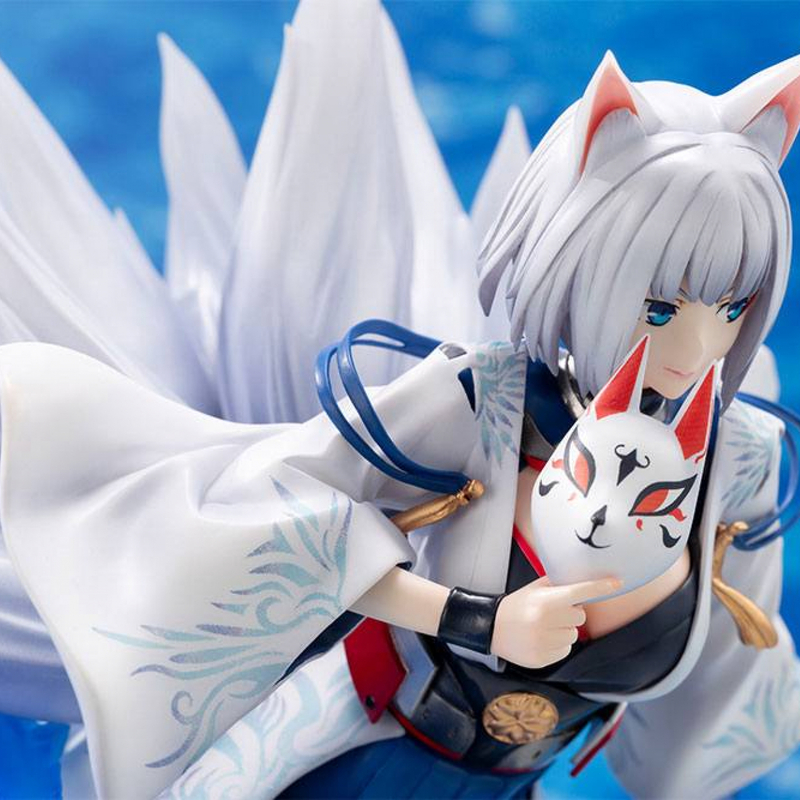 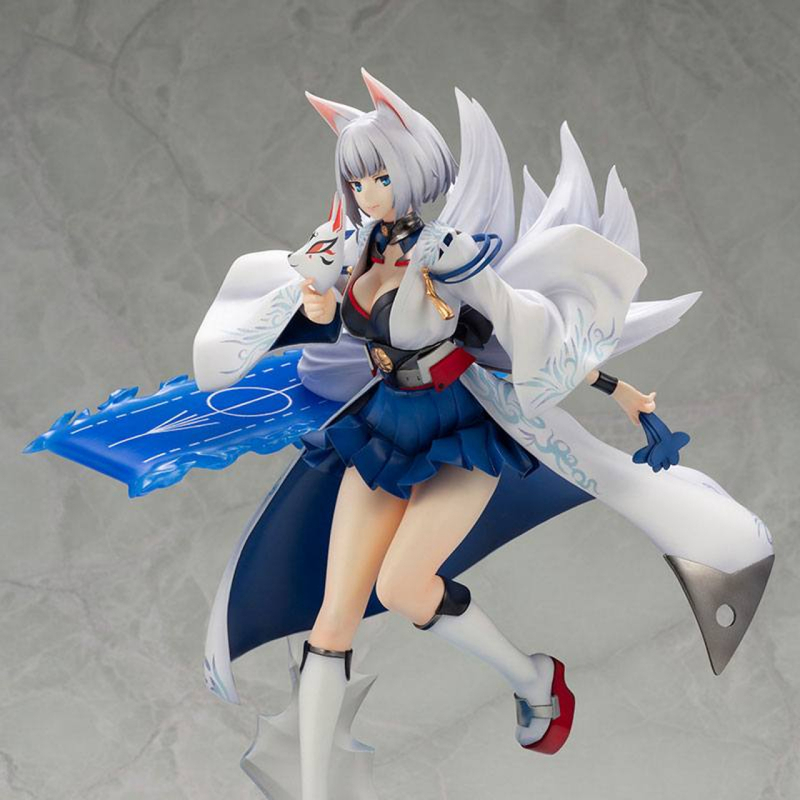 A beautiful nine-tailed fox, the sculpting of Kaga's fox tails and upper body is beautifully crafted, and her fox mask is recreated in stunning detail. 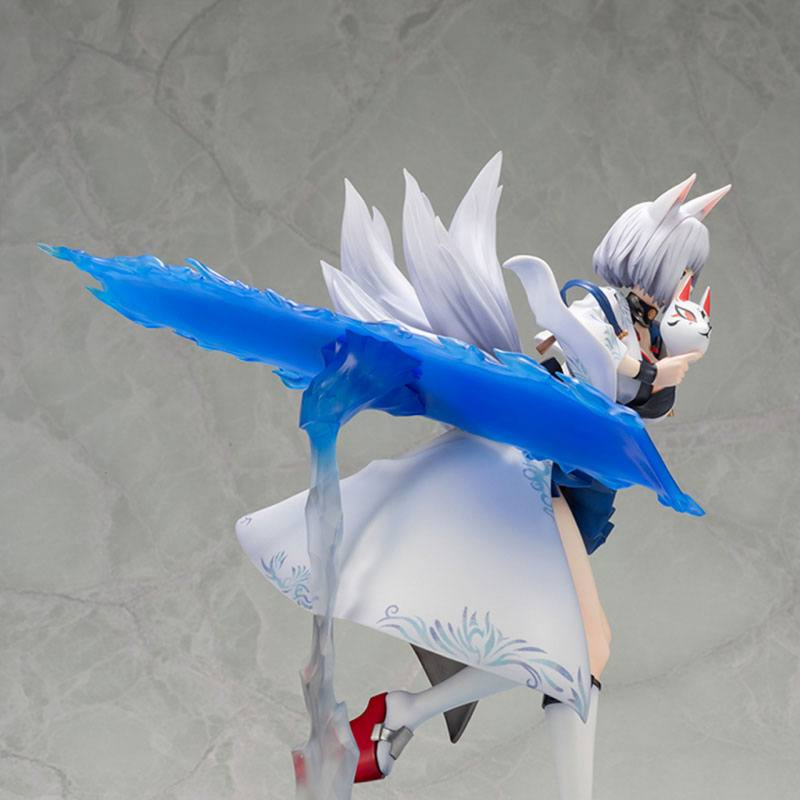 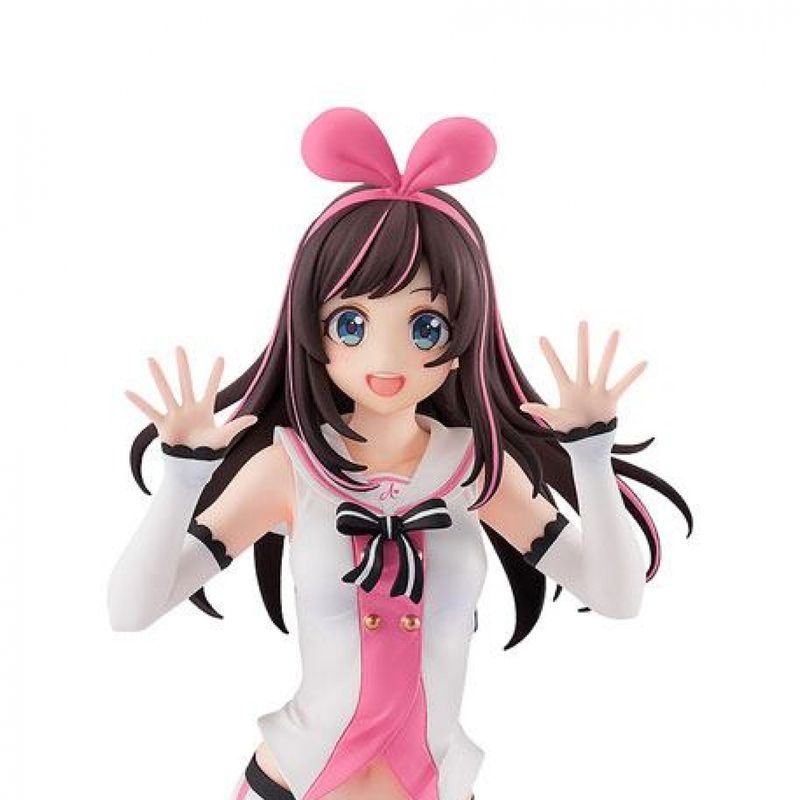 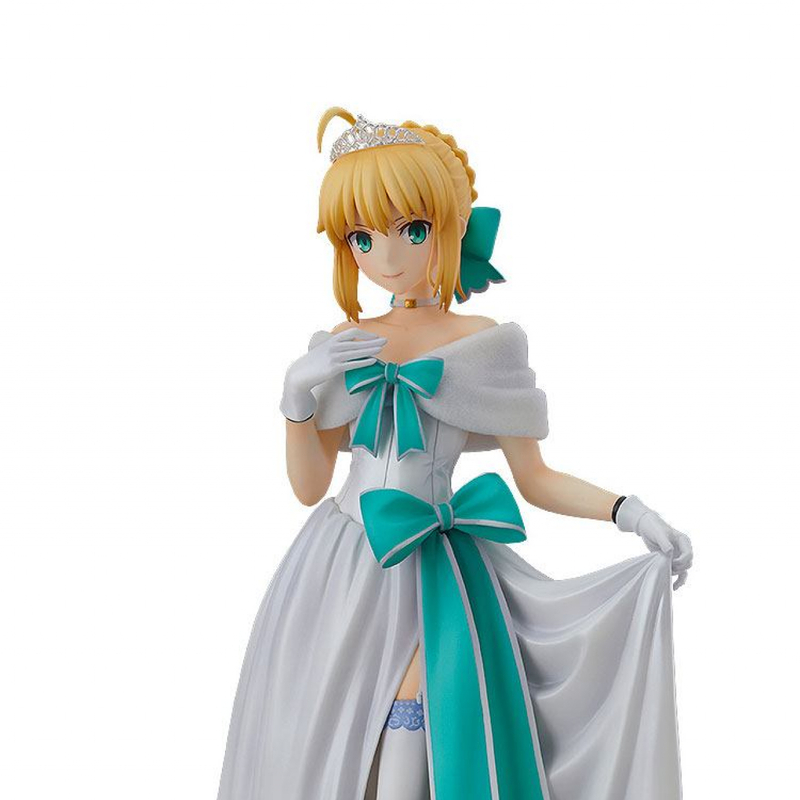 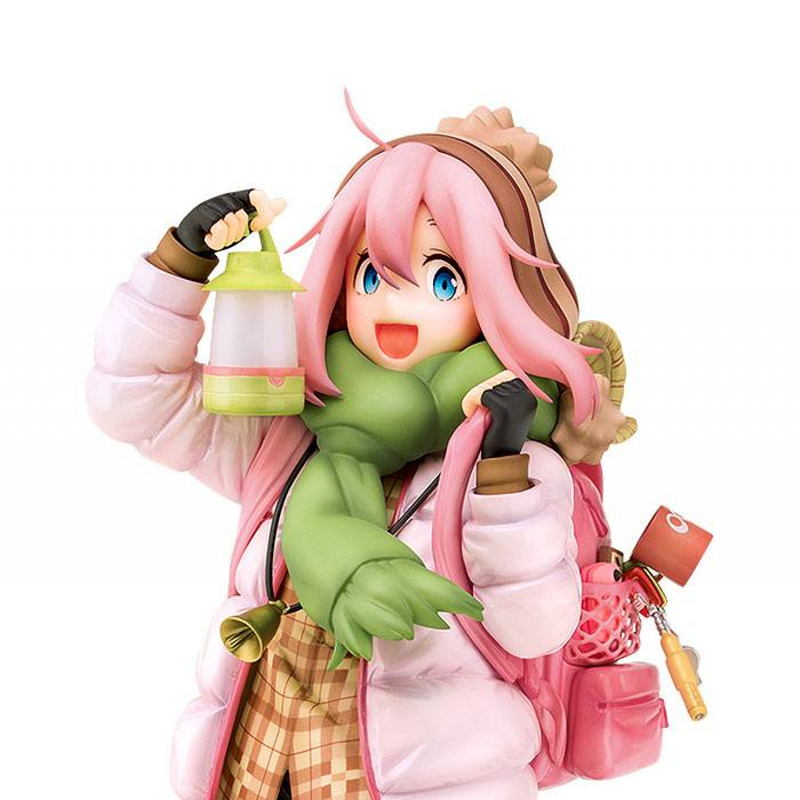 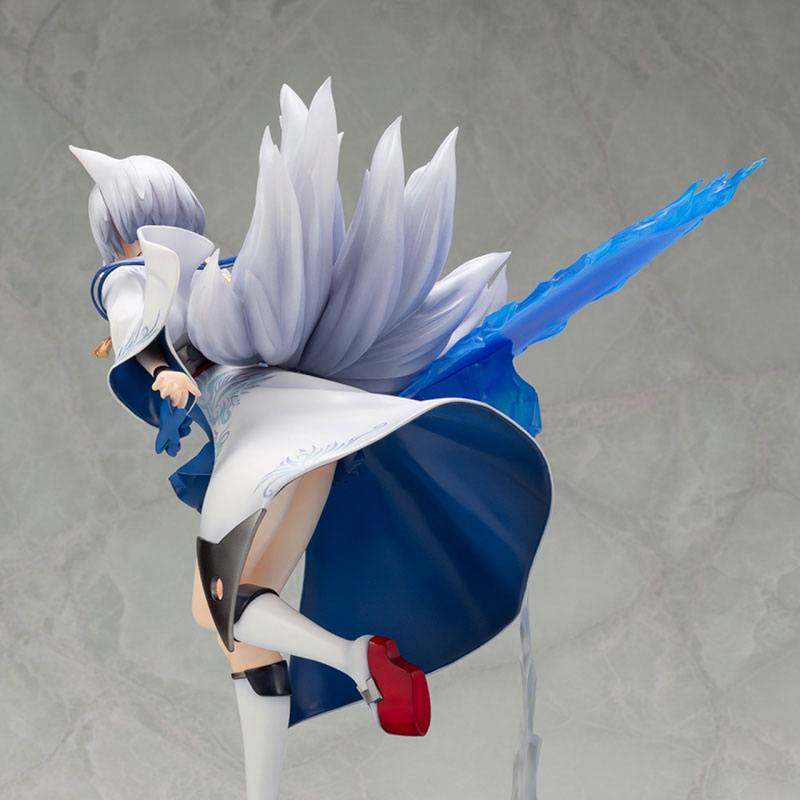 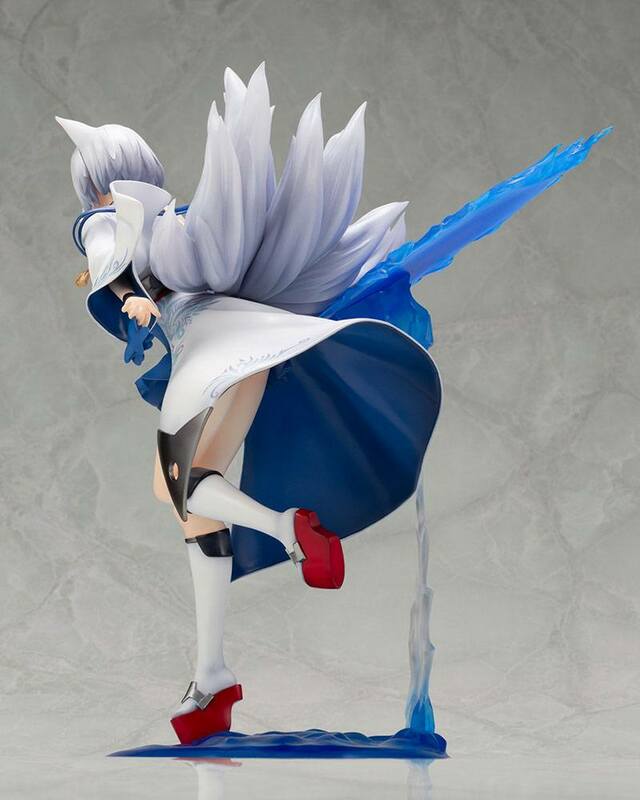 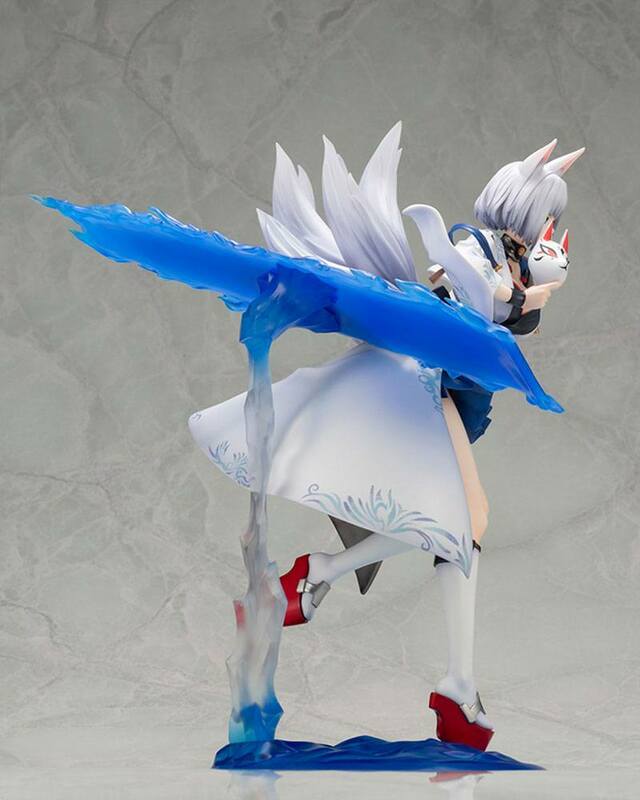 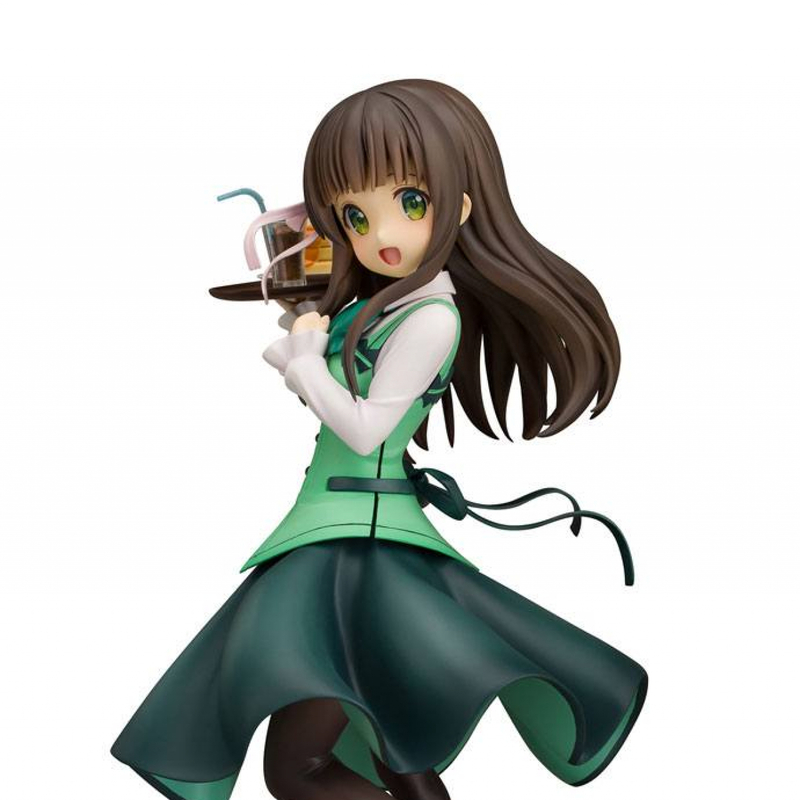 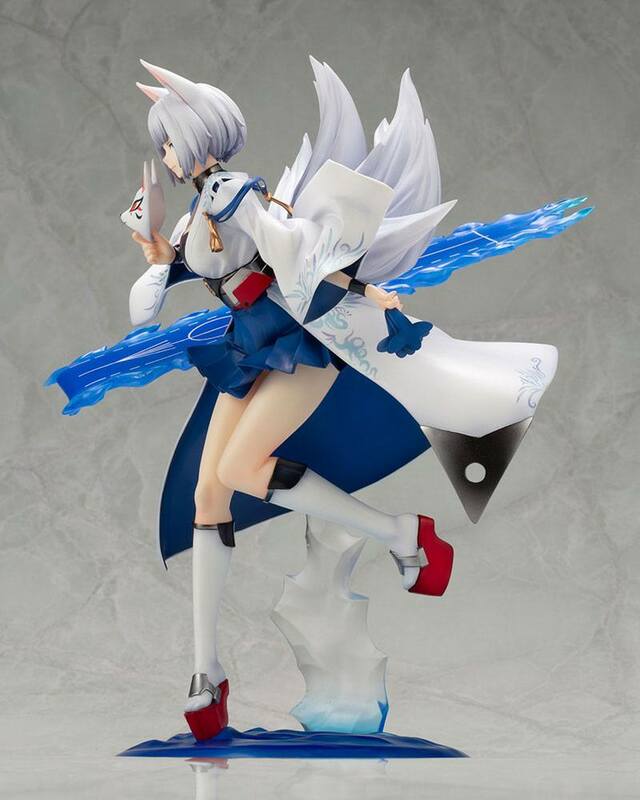 The statue's ocean inspired base, deck boards, and her beautiful white hair are created with translucent plastic that catches the light beautifully.